We Are Ready To Help You Heal. Mark’s life has been shaped by integrative medicine—both personally and professionally. As an injured student-athlete at Georgetown University, Mark felt he had run out of options to hang on to his track scholarship and hold on to his dream of competing in the Olympics; he was diagnosed with an irreparable injury. As a last attempt, and with his future at stake, Mark took a chance he will never forget—he visited a chiropractor. And what an investment he made. Not only was Mark successfully treated by the chiropractor, he began to see the limitations of traditional medical care, and the merits of alternative medicine. To him, it was no longer just an alternative, or a last resort when traditional medicine failed. Nor was it just something that “other people” tried. It was a valid, medical option that he had personally benefited from. He went on to compete as a Reebok-sponsored athlete, while simultaneously earning his medical degree from the highly-distinguished Georgetown University School of Medicine. As an elite athlete, Mark was a five-time NCAA Division I Track & Field All-American, competed and placed 8th at the 1996 USA Olympic Trials, and boasts a sub-four-minute mile. His professional accomplishments are equally impressive, including his distinction as Chief Resident during his final year at the University of Arizona Family Practice Medicine Program. As an innovator, a physician, and an athlete, Mark serves on our Integrative Wellness Team as Medical Advisor, bringing with him years of experience in integrative medicine. He is passionate about combining therapies and treatments for his clients. When he is not busy thinking about his clients, Mark can be found trying to instill balance in his own life: running, boating, fishing, and unwinding with his friends and family—especially his son. Not surprisingly, Mark's career led him back to alternative healing. After graduating from medical school, he founded the Sivieri Wellness Center, which eventually expanded to three locations. There, he practices as a primary care physician, acupuncturist, and integrative medicine expert, and he has developed a reputation for his restorative care. He is a strong believer in getting healthy, being healthy, and staying healthy, which he practices in his own life, and as a physician. "Best Chronic Fatigue Syndrome and Fibromyalgia Practitioners"
Lynn’s original background was as a CPA for the federal government. She then utilized her business expertise to transition to the medical field over 20 years ago as a medical biller and practice manager. But she soon realized that her true passion lied not in the business side of medicine, but in actually treating patients. So she went back to school to change careers and eventually earned her Master’s Degree and PA certification from The George Washington University. Lynn’s career in medicine has always been focused on the integrative and functional approach to healing patients. She believes in empowering and educating her patients about the path to achieving true health and wellness. She has a particular passion for women’s health issues, including hormone balance, nutrition and GI issues, and stress management. Lynn enjoys sharing her passion for wellness in a setting dedicated to helping people achieve optimal health. She is inspired every day to work with an amazing group of like-minded individuals who are on a similar quest to change the face of medicine - from one centered on disease, to one centered on wellness. She believes that the best part about her job is having the time to truly connect with each patient, and watching their lives transform for the better! The other passion in her life is her four children. When she’s not working, she enjoy spending time with them, and other family members. You’ll often find her reading a book, or enjoying spending time outside. Dr. McDevitt is a board-certified internal medicine physician. She received her training from The American University of Antigua, and MedStar Union Memorial Hospital. She is passionate about using the knowledge gained from her medical education and incorporating complementary therapies in her healthcare regimes. This passion has motivated her to include medical cannabis in her protocols. Dr. McDevitt focuses on all aspects of her patients' health, including healthy eating, good mental hygiene and stress management. She recognizes the importance of an open relationship between practitioner and patient and strives to improve her patients' overall satisfaction with life. As a Certified Pediatric Nurse Practitioner and Child & Adolescent Mental Health Specialist, Katie brings over 20 years of experience and knowledge to Turning Point Integrative Health Center. Along with primary care pediatric services, Katie specializes in attention deficit hyperactivity disorder, anxiety, obesity and common childhood health challenges. Working with families for over 2 decades has given Katie a unique perspective not only as a pediatric provider, but also as a mother of a child that has experienced healing from integrative treatments. As Katie watched her own child change, she knew the symptoms were atypical and typical treatment wasn’t helping. She knew integrative medicine was the answer. Katie began the first 5 years of her career as a registered nurse delivering babies and teaching parents about newborn life, and then transitioned into pediatric community health and primary care. In 2011, Katie graduated from the State University of New York – Stony Brook with a Master’s of Nursing in Child Health. She continued her education with a fellowship in Child and Adolescent Mental Health with Arizona State University building on her Bachelor’s Degree in Psychology. Katie has enhanced her learning with various integrative healthcare classes and seminars expanding her knowledge of holistic nutrition, gut health, brain health, hormone changes, and the epidemic of chronic disease. Learning about functional and integrative healthcare is Katie’s passion. When she’s not absorbed in learning and helping others, she enjoys spending time with her own family. She loves to travel with her husband and children, enjoys being outside, being physically active, tending to her flowers, and sharing her knowledge of holistic nutrition via public speaking and support groups and wellness coaching. 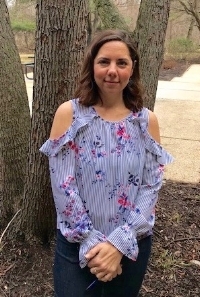 Valerie is certified by the National Certification Board for Therapeutic Massage and Bodywork (NCBTMB), and licensed by the State of Maryland as a massage therapist. After completing her initial education in 2002, she has received specialized training in Medical Massage, Oncology Massage, Sports Massage, the Active Isolated Stretching Method, Neuromuscular Therapy, Manual Lymph Drainage, Craniosacral Therapy, Energy Work and a variety of other modalities.